Thanks to the home movies of Hitler’s long-time mistress, Eva Braun, millions are familiar with the private face of Adolf Hitler. His private voice is, however, much less well-known. Some years ago, I worked on television documentary based on the Braun silent movies. The filmmakers used lip readers to interpret what he was saying and an actor to voice his words. While this provided an intimate glimpse into the dictator’s private opinions it did not, of course allow, us to hear his speaking voice. Almost all people know about how he spoke is based on his hectoring, screaming, mesmeric, diatribes addressed at his millions of faithful followers as in the clip below. 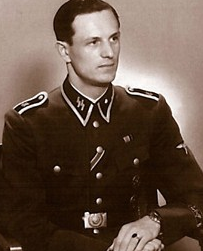 In the absence of evidence, people took various views about what his natural accent was like and even how well, as an Austrian, he spoke German. Although he forbade recordings of his private conversations, one is available to all those interested. According to my German friends, this reveals a quietly spoken man with a soft, educated, accent. Here’s how that unique recording came to be made. In June 1941, Germany invaded the Soviet Union. While, initially, very successful, as summer turned to winter the German campaign slowed and then stalled outside Moscow. 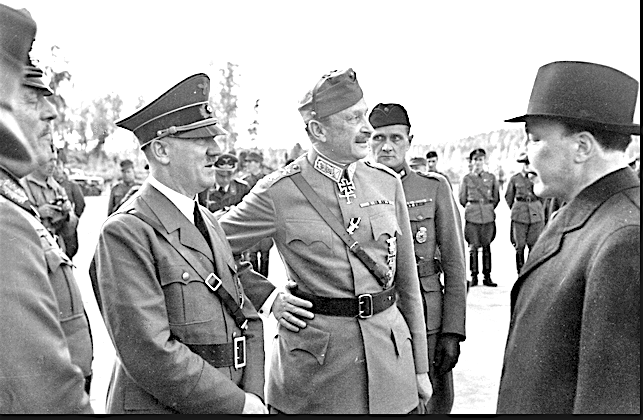 The following year, Hitler visited Finland, for a meeting with Baron Carl Gustaf Emil Mannerheim. To avoid this being seen as a State visit, it was claimed he was there solely to celebrate the General’s 75th birthday. 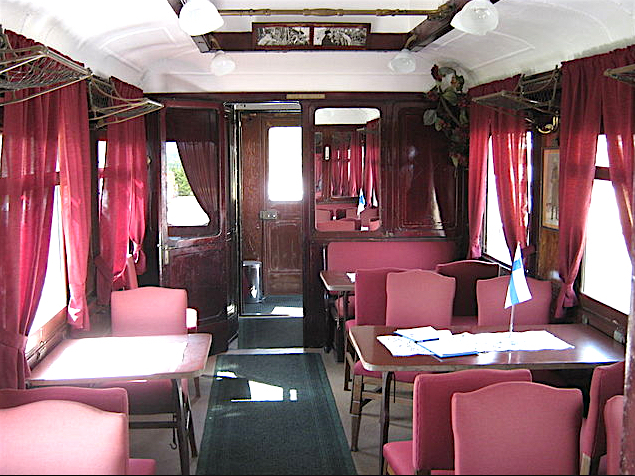 To emphasise the unofficial nature of the visit, rather than take place in a government building it was held in Mannerheim’s personal railway carriage. Following the official greetings and the speeches, Hitler and Mannerheim retired to the salon to enjoy lunch. In the carriage a microphone had been set up, quite openly, by Finnish sound engineer Thor Damen, to record the speeches. What Hitler did not realise, was that once these were concluded, Damen kept the recorder running during his private, lunch time, conversation. 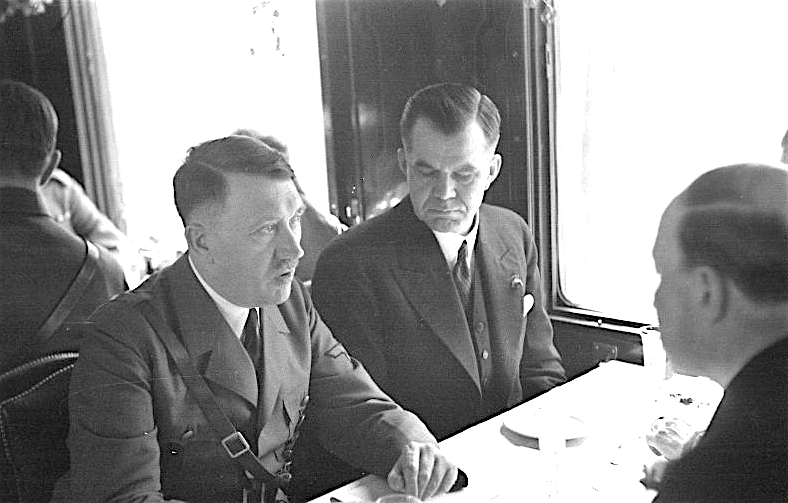 During his informal char with Mannerheim, Hitler can be heard discussing the failure of Operation Barbarossa, the Russian campaign, his surprise at the Soviets capacity for producing tanks, strategic worries about the petroleum fields in Romania and his reasons for delaying the invasion of France. Transcript of short part of conversation. Hitler: “A very great danger, perhaps the gravest one… We ourselves were not completely sure of how monstrously strong this armament was… May I tell you, President of State… had I suspected this, my heart would have felt even heavier… But I had made the decisions, above all, because there was no other possibility. It was already obvious to me, in the winter of 39-40, that the invasion (of the Soviet Union) had to come. But I had the nightmarish pressure of the West on me because a war on two fronts, that would have been the downfall…we would have been crushed. We see that better today as we would realise it back then…I originally wanted to carry out the campaign in the West in the autumn of 1939. After eleven minutes, the recording ends abruptly. SS guards had become aware of what the engineer was doing and demanded he turn off the machine. They threatened to cut his throat if he did not obey. Although they initially demanded the tape, the guards finally relented and allowed him to keep the record provided it was sealed in a container and never listened to again. Thor Damen, fearful of his own safety, agreed and later handed the recording to the Finnish government who retained it until 1957. It is the only known recording of Hitler in conversations and one of the very few in which he never raises his voice. When first made public, doubts were raised about the recording’s authenticity. To those more used to Hitler’s screaming diatribes, his private voice sounded too quiet and soft. The recording’s authenticity was finally confirmed by Dr Stefan Gfroerer, Head of Frequencies at the German Federal Criminal Police Office. In 2004, it was used by actor Bruno Ganz as he prepared to play Hitler in the film Der Untergang (Downfall) directed by Oliver. 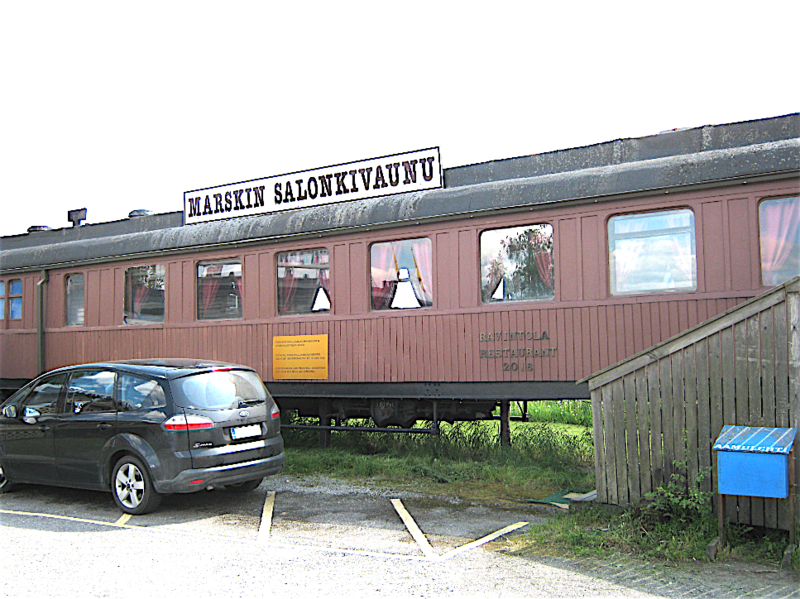 Today, the railway carriage, where the meeting took place, has become a tourist attraction outside a petrol station in Sastamala, on Finnish National Road 12. The table at which Hitler and Mannerheim sat for lunch and their conversation was recorded.